The renovation and expansion of Sorce Martial Arts are nearly complete … and what better time to celebrate than during Evening on the Avenue? The event will be an open house for the community to tour the newly expanded facilities, observe adult and child martial arts classes, meet with instructors and staff and take advantage of enrollment specials. In place of the traditional ribbon-cutting ceremony, there will be a belt-cutting ceremony at 5 p.m. The Grand Re-opening also marks the 10th anniversary of Sorce Martial Arts at their current location at 926 Milwaukee Avenue. 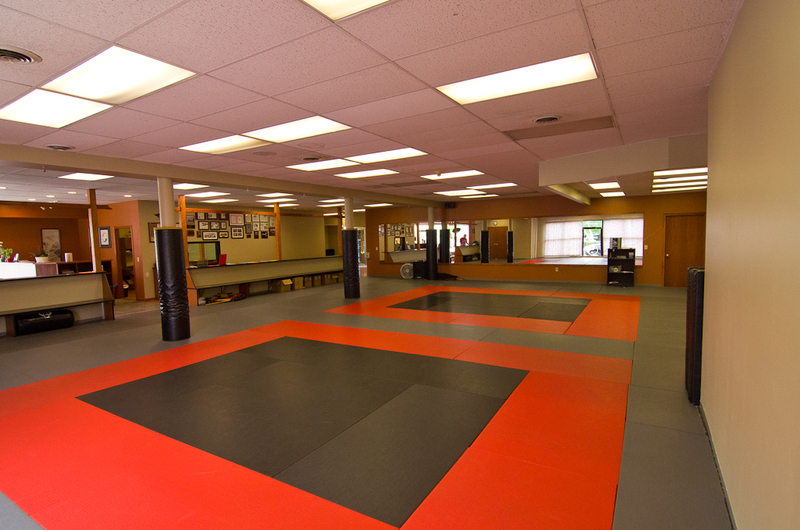 The lower level of the two-story building, which used to house a pharmacy and small offices covered with aging wood-paneling, mismatched carpeting and very little natural daylight, has been completely transformed into a 6,000 square foot contemporary martial arts school. 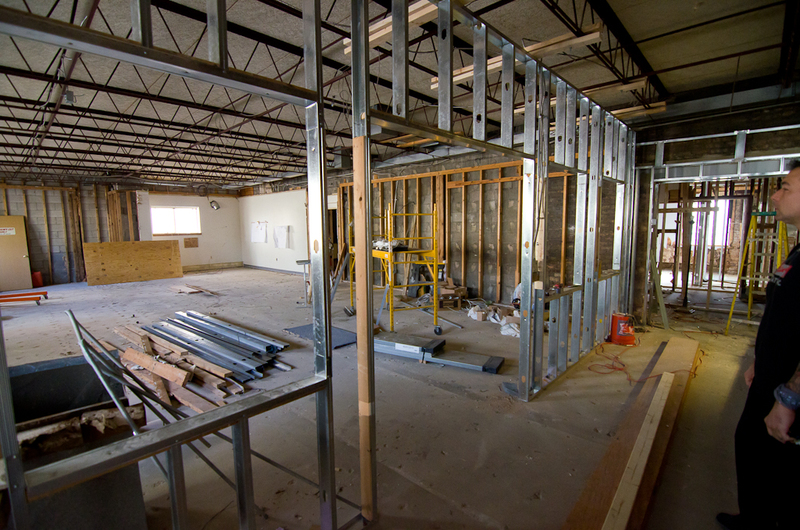 The expanded space now features two full-sized training rooms, new ample viewing areas for families, a private lesson room and offices, a lounge area, and new bathrooms and changing rooms. The look and feel of the space is natural, contemporary and open. Sorce says that he spent a lot of time researching options for a larger facility to accommodate the school’s growing student base and additional classes. He considered other existing buildings in the area and new construction, but eventually decided to stay at the existing location and expand the space. Pete and Rachel Sorce purchased the building last May, then started the demolition and remodel immediately. Throughout the process, classes in the front half of the building continued as usual. Thanks to the Sorces for investing in downtown South Milwaukee. There are certainly strong signs of life in our city center — and that is thanks to passionate and committed business owners like them. Check out more renovation images from Anthony Sell here.